Relax! Enjoy a spa setting in your own room, home or condo where you can unwind and indulge in any number of stress-reducing, relaxing or therapeutic treatments. Our Skilled Team of Licensed massage therapists are available to travel to your home, room or condo, Each therapist can do multiple massages. Our Swedish Massage combines firm muscle strokes with kneading of the tissue to work out stress and tension. It is performed utilizing a hydrating lotion to soothe dehydrated skin. You leave relaxed and your skin is moisturized after the treatment. For people experiencing chronic pain or just like a deeper massage. Trigger points are manipulated to release tension, restoring muscle integrity and overall body balance. Unwind and relax, as you get massaged side by side, each with your own personal therapist in the same private environment. This treatment is the ultimate self indulgence for you and your partner. Hot polished lava stones massage your body, transferring the heat from the stones into your muscles, to warm them. This allows the therapists to then use their hands to virtually melt away stiffness, creating a feeling of deep relaxation and relief. During the winter season this exclusive experience is used to help you improve your skiing performance. This combination of massage and stretching will decrease muscle soreness and increase flex ability in the muscles used while skiing. This treatment also aids in rapid recovery so you can get back on the slopes, Weather you are an expert or novice, this treatment is a must for anyone who is planning multiple days on the slopes. For those adjusting from sea level or suffering from high altitude symptoms. 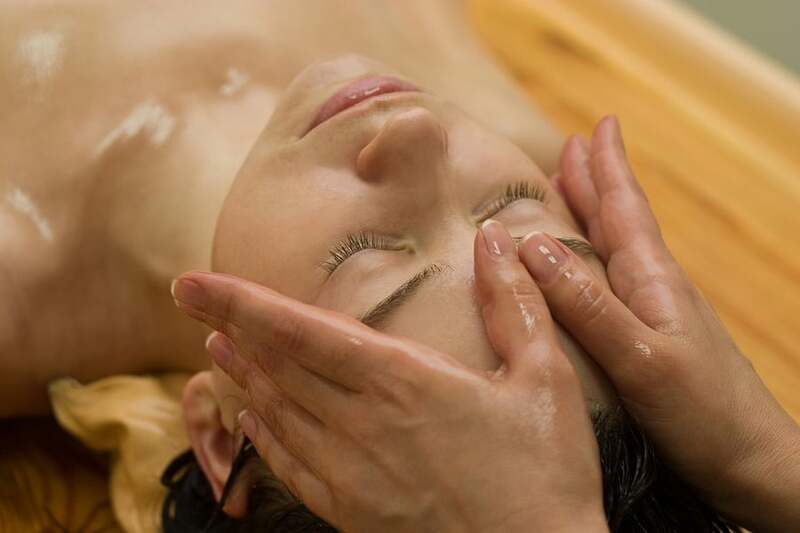 (shortness of breath, headache, nausea) this aroma-massage treatment uses special therapeutic essential oils that help promote respiration, relax the body, calm the nerves and sooth your headache. Thai massage is a unique way to improve flexibility and melt away tension. Performed on a thai floor mat you wear loose fitting clothing, You enjoy the loosening of your joints and muscles as a result of passive stretching and relaxing compressions. If you enjoy stretching and relaxation thai massage is for you! For those who need specific work. This treatment focuses on the upper body where stress and tension tend to accumulate. This specialty treatment starts out with exfoliating the skin which rids the body of dead skin cells. We then apply the Salt or Sugar which provides for a deep cleansing which also encourages healthy circulation and skin renewal. You are then wrapped in warmth and during that process you will receive a scalp massage. We finish off with a mini massage with hydrating lotion that will leave your skin smooth and soft. If you are interested in booking your appointment or have any questions you can call (435) 640-8439 or fill out the form below and we will get right back to you. Thanks and we look forward to speaking with you. This place was great! The masseuse came to us at our hotel. Very professional and friendly....and of course fantastic massages! I would highly recommend. Local Marketing By The Search Specialists.